Viking has announced that its fourth ocean ship, Viking Sun, was officially named during a celebration on The Bund, in the heart of Shanghai. “I am very pleased to officially name our newest ship in Shanghai. 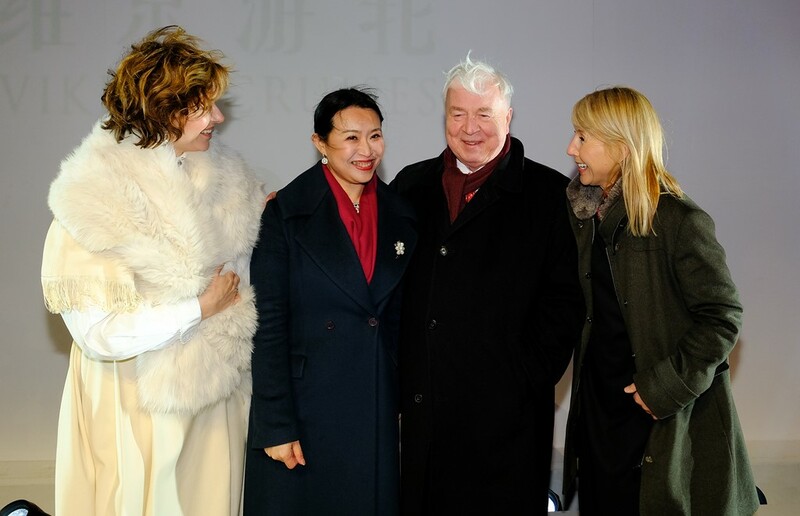 We care deeply about tourism in China, and we have been bringing river cruise guests here since 2004,” said Torstein Hagen, Chairman of Viking. “China is the home of Viking Sun’s Godmother, Mrs. Yi Lou, and in the coming year, Shanghai will also welcome our fifth ship, Viking Orion. The ship is currently sailing Viking’s sold-out 141-day World Cruise from Miami to London, and its stop in Shanghai marks the first time one of Viking’s ocean ships has called in China. 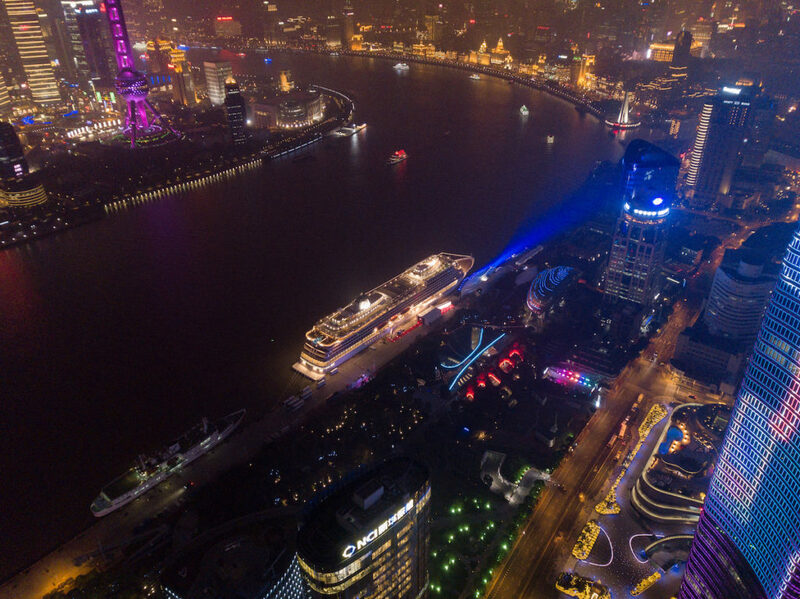 Viking Sun is also the first-ever cruise ship to be named on The Bund in Shanghai. The 930-guest, 47,800-ton ship arrived in Shanghai this morning, navigating into the mouth of the Yangtze River and then up the Huangpu River into central Shanghai. After arriving, Viking Sun was positioned at the Shanghai Port International Cruise Terminal, adjacent to a concert stage constructed specifically for the celebration. Mrs. Li You, Vice President of China Merchant Bank Financial Leasing (CMBFL), served as ceremonial godmother and offered a blessing of good fortune and safe sailing for Viking Sun – a naval tradition that dates back thousands of years. In keeping with the naming custom, Mrs. Li You also cut a ribbon that allowed a bottle of Norwegian aquavit to break on the ship’s hull. On 9 March, Viking Sun will set sail from Shanghai for Southeast Asia and India, before making its way through the Red Sea and the Suez Canal into the Mediterranean – essentially following the route of the 21st Century Maritime Silk Road or “One Belt One Road” Initiative. When the ship arrives in London on 5 May, it will have visited five continents, 35 countries and 64 ports during her first World Cruise. Viking Sun will continue to sail the globe during the 2019 World Cruise, a 128-day itinerary from Miami to London.